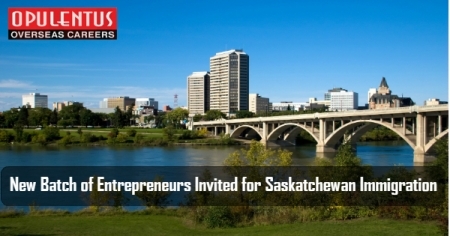 In the July 18 draw, Saskatchewan began the process of issuing invitations, to apply to a fresh batch of candidates in the Entrepreneur stream. Additionally in it, 187 candidates received the invitation after scoring points between 100 and 135. The average score was 105. Moreover, this was the fourth largest draw of the Entrepreneur stream, in the Immigrant Nominee Program of the province. Even in The previous three draws, there were high numbers. During April 2018 - 231 candidates, in January 2018 - 251 and in October 2017 265 EOIs were issued. Saskatchewan has a plan to manage one more Entrepreneur draw ,during 2018 on October 17, but there may be a change this date. Minimum three years experience of management or entrepreneurship. Investment of $300,000 in Regina or Saskatoon, or $200,000 in any other area. Candidates must enter a pool and receive a score. The candidates with the top score get the invitation for submitting an application. Business Establishment Plan to confirm figures in E.O.I., and also include one third ownership of a company in Saskatchewan, unless investment is $1 million or above. They must Commit regarding being active in the daily management of business. Creating additional two (or more) jobs for PRs or for Canadian citizens in case the business is in Regina/Saskatoon. The website also informs that the S.I.N.P. has the right to assess Business Establishment Plans by professional third parties that are authorized by the government. This assessment of third parties will focus on the preparation and due meticulousness of the applicant while preparing the proposed business plan. Saskatchewan has also recently updated the list of occupations having a good demand. It has added 7 and removed 12 occupations during July 2018.